The year 2018 is almost over, and 2019 is just around the corner. The global alumina and aluminium market saw some unprecedented developments that have turned the market upside down making all previous estimates redundant. The combinations of US aluminium import tariffs and sanctions against Russian aluminium giant Rusal created turmoil in the aluminium industry. The supply scenario disruptions in Brazil also inflated alumina prices. The year has already delivered mammoth of exhibitions and conferences covering aluminium value chain. Most of the events were focused on Primary aluminium, downstream, and end user. Let’s explore the major events scheduled for the month of November and December 2018. The Arab International Aluminium Conference (ARABAL) is the premium trade event for the Middle East’s aluminium industry. Kuwait Industries Co. Holding are the host of the 22nd ARABAL in its 35th year. ARABAL’s theme this year focuses on ‘The Global Challenges to the Aluminium Industry and Suitable Solutions’. ARABAL combines a strategic conference with an international exhibition. Since it’s inauguration in Kuwait in 1983, ARABAL has become an event of international repute, bringing together industry leaders from around the world to discuss current issues in the aluminium sector. Metal-Expo’2018, the 24th International Industrial Exhibition is at full swing will exhibit the whole range of ferrous and non-ferrous products, the most state-of-the-art equipment and innovative solutions. Metal-Expo’2018 will reflect the current market state showing all the possible growing points. 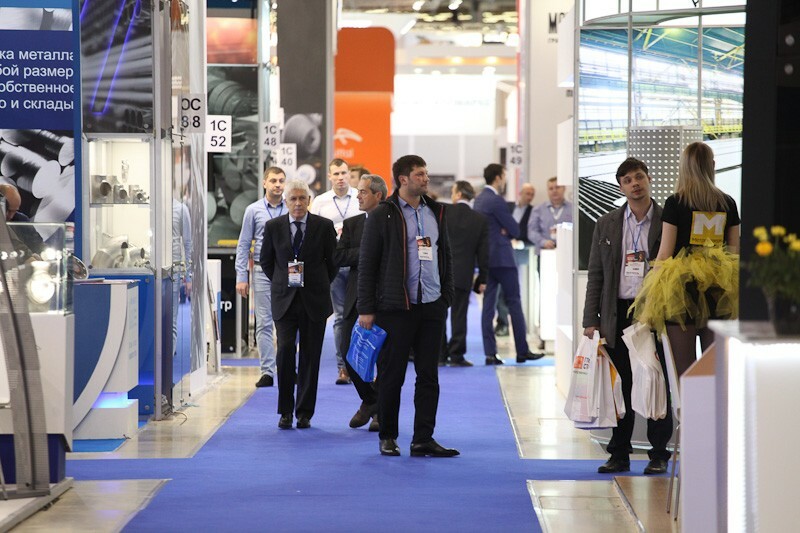 This year more than 500 companies from 35 world countries will exhibit at Metal-Expo’2018 while more than 30k professionals are expected to visit the event. Metallurgy India – International Exhibition on Metallurgical Technology Products and Services will provide an opportunity to showcase the best products, equipment, innovations, machinery and technology in the metallurgy sectors. The Australasian Aluminium Smelting Technology Conference is a unique opportunity to meet colleagues within the aluminium industry, exchange concerns and share knowledge. The AASTC is famous for its in-depth examination and discussion of various topics that are of interest to the aluminium industry. iMT Taiwan will help you to meet the entire supply chain in one stop from heat treating to molding. Benefit from IMT Taiwan’s collaboration with leading media partners in USA, Australia, France, Germany, Italy, Japan, Russia, Taiwan, etc. ALUCAST 2018- The International Conference and Exhibition on Die Casting Technology will feature presentation of articles by internationally recognised experts on diverse aspects of die casting technology. The Theme of the Event is “Emerging Trends in Die Casting Technology”. Zak Trade Fair and Exhibitions Pvt Ltd., is one of the leading tradeshow and exhibition organizers in Asia. IT FOCUSES ON aluminium extrusion technologies, applications and products. The fair has an extensive display of all kinds of technologies and solutions pertaining to aluminium extrusions. Zak has organized over 400 exhibitions and conferences involving 22 different industries in different parts of India, Singapore, SriLanka, Dubai, USA, and Bangladesh. The Gulf Aluminium Council or GAC is a coordinating body that represents, promotes and protects the interests of the aluminium industry within the Gulf region. GAC has been organizing a series of special industry focused seminars for the members in the Gulf. The GAC seminars will provide an excellent opportunity to share global knowledge from professionals and practical applications of the subject matter, among the GCC smelters. The objective of the seminar is to facilitate the participants a platform to gain a boarder perspective from these informative seminars, which they can apply in their own work environment. The main objectives of the council are to provide a forum to develop strategies for common issues and concerns facing the aluminium industry in the region, and to share industry best practices and the seminars are in the line of the same principles.